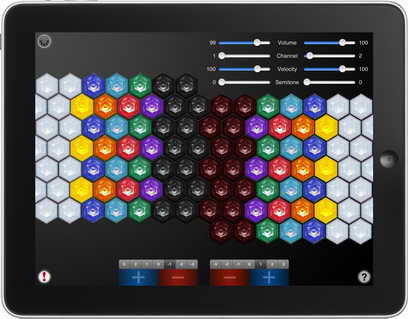 iJammer is a Jammer-style MIDI control surface for the iPad. 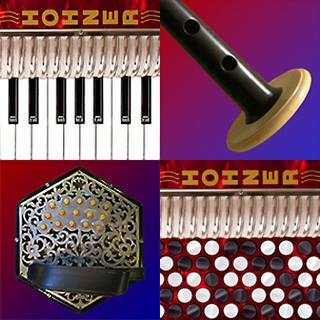 The scale patterns are very intuitive, and the built-in note guide makes it easy to learn to play! 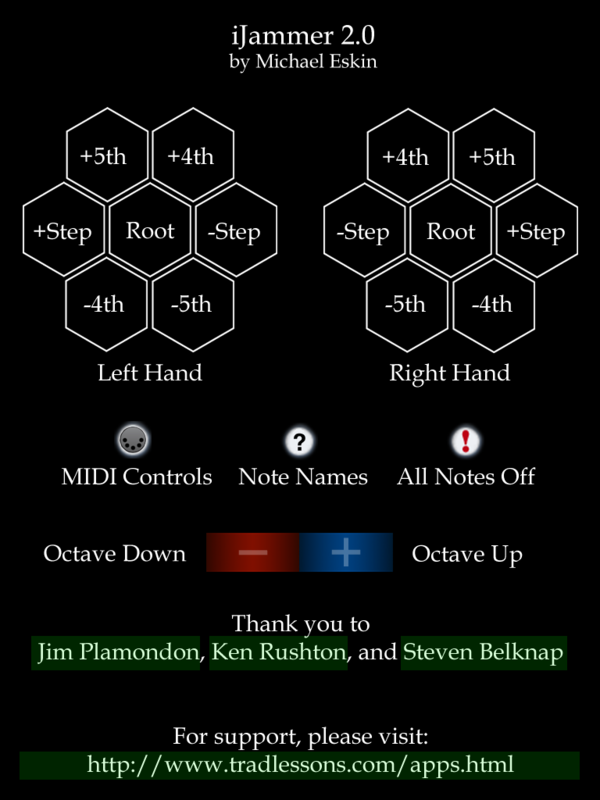 The layout is based on the "Hayden-Wicki" system, with independent mirror-image keyboards for the left and right hands. You can slide between the buttons. 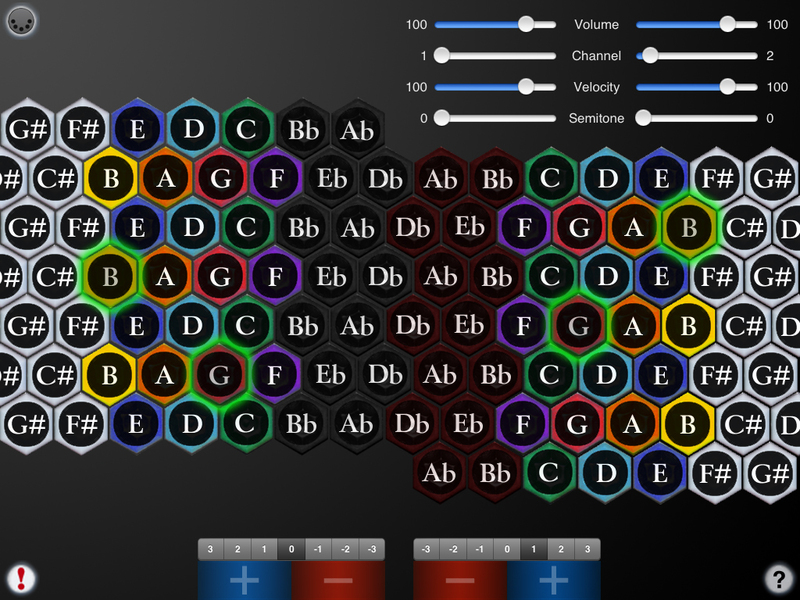 iJammer supports two independent MIDI channels and has 104 buttons (52 for each hand) with a 9-octave range (via transposition). 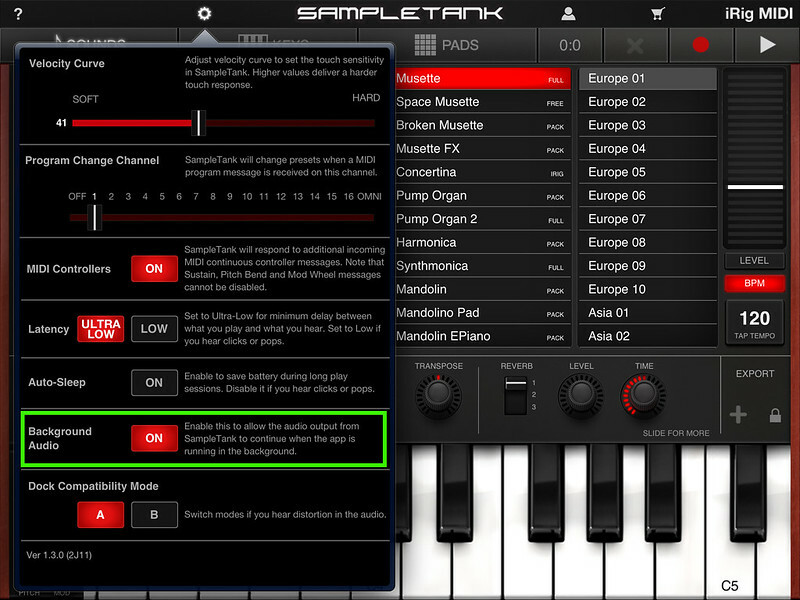 iJammer doesn't produce any sound on it own, it is designed for playing hardware or software VST-style MIDI synthesizers via a MIDI interface connected to the iPad dock connector or virtual MIDI instruments like IK Multimedia SampleTank® for iOS or ThumbJam running on your iPad. To play, just touch the buttons. Multiple buttons may be touched at the same time to create chords. 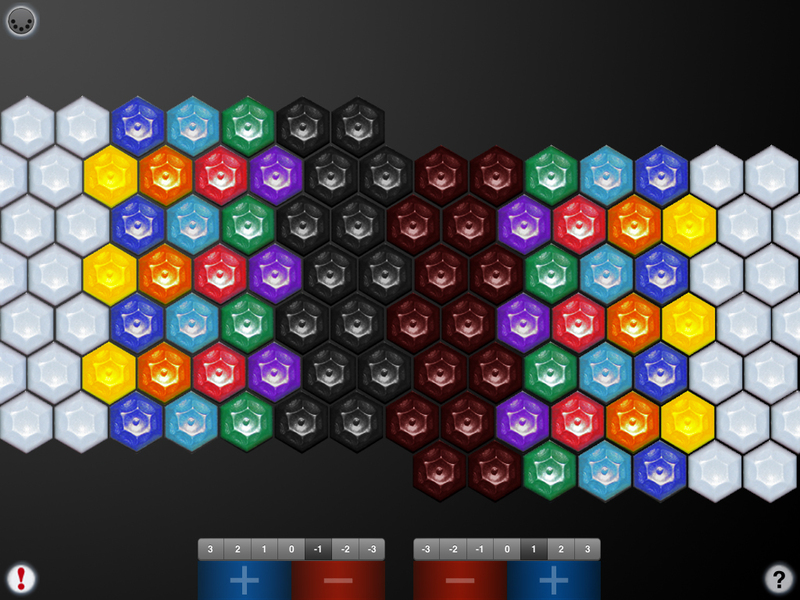 Both sides may be transposed independently. 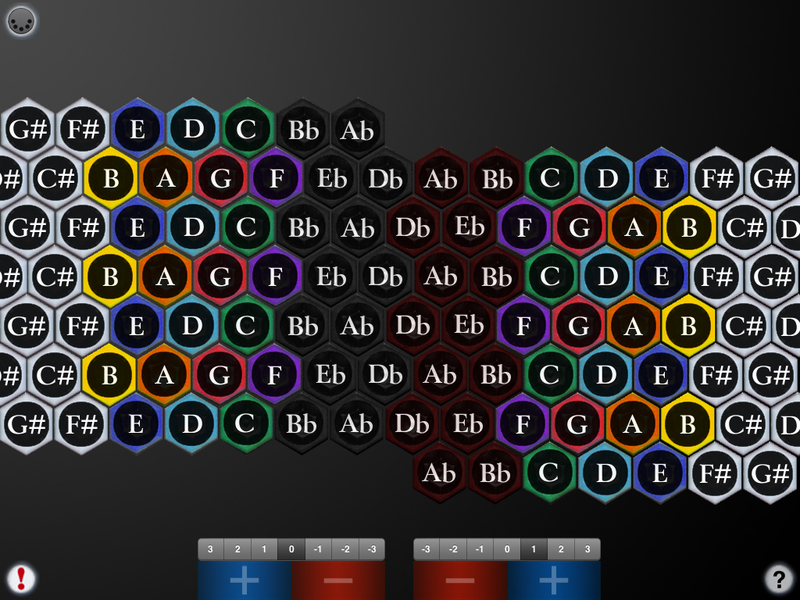 Touch the red or blue bars at the bottom of either side to transpose down or up one octave for that side. The display above the bars shows the current octave for each side. 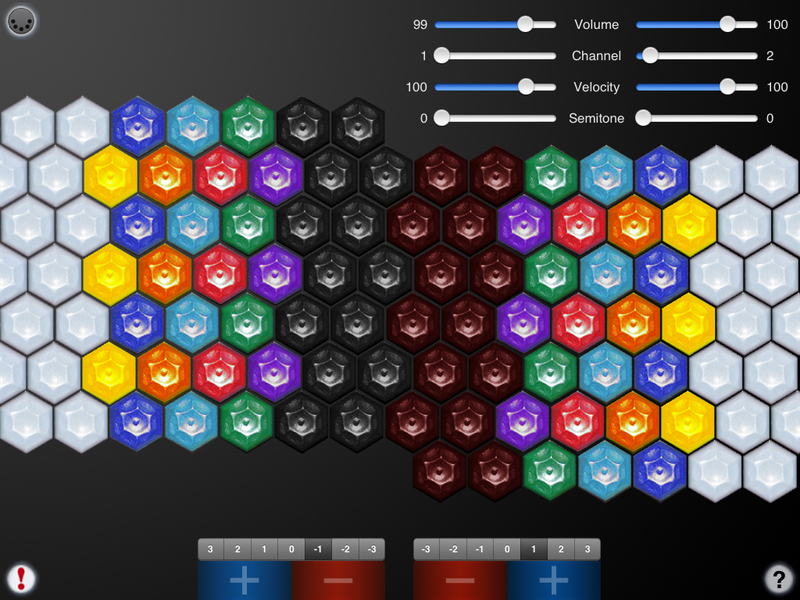 You may select the volume, MIDI channel, attack velocity, and semitone transposition (0-11) for the two sides independently. All MIDI settings are saved when iJammer quits and restored the next time it is run. Touch the '!' 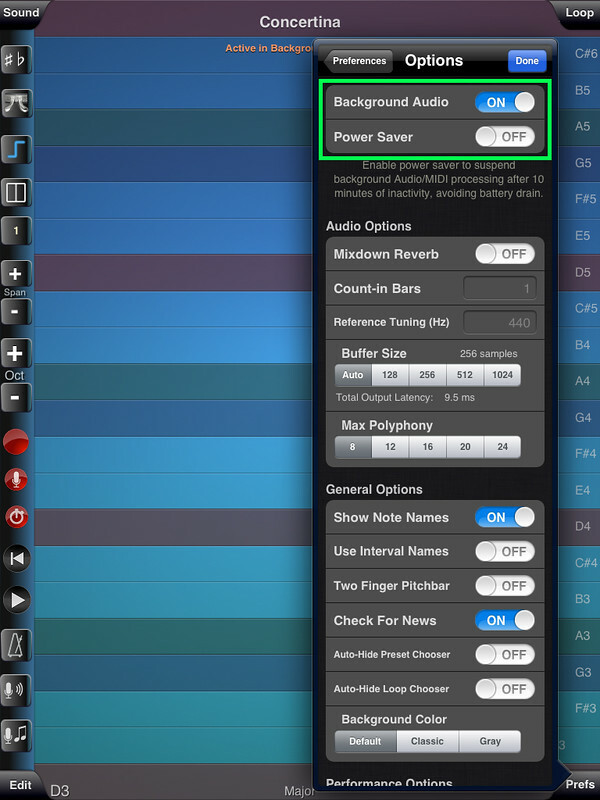 icon at the lower left to quiet any "stuck" notes if they occur. 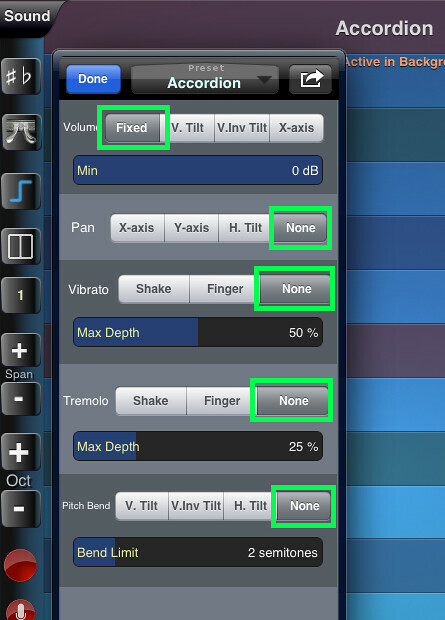 On the iPad, touch any of the green highlighted links to go directly to webpages with additional information about iJammer and Jammer-style controllers. Q: I just updated my iPad to iOS 6.0.1 and I'm stuck at the help screen! A: Apple messed up the Mute/Orientation switch state in the update. Please visit this site for a simple fix. The majority of my testing has been with IK Multimedia SampleTank®. 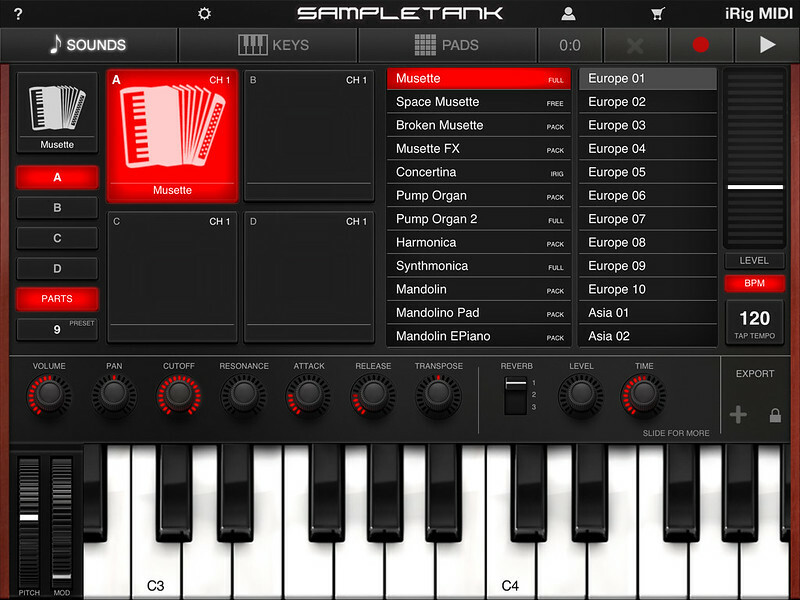 Q: Can I play along with music on my iPad? 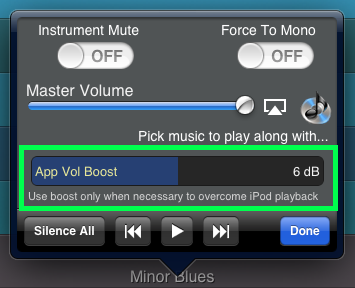 A: Yes, you can play along with tunes in your iPad's music library by starting a track using the iPad iPod app, then launching iJammer. While the music is playing you can double click the home button to bring up the iPod music controls. Using the iPad's Settings app, under General/Home, enable the "iPod Controls" setting to allow you to bring up the iPod music control panel by double-clicking the home button while the app is running. I am very interested in any suggestions for features or improvements to iJammer for future updates, please drop me an email anytime with your ideas! A huge thank you to Jim Plamondon, Steve Belknap, and Ken Rushton for their inspiration and guidance during the development of iJammer.